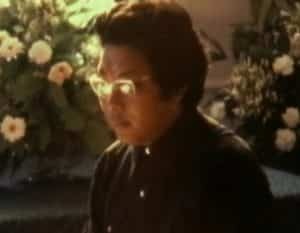 This year, 2007, marks the 20th anniversary of the passing away of an important Tibetan Buddhist Master, Chögyam Trungpa Rinpoche (1939-1987). 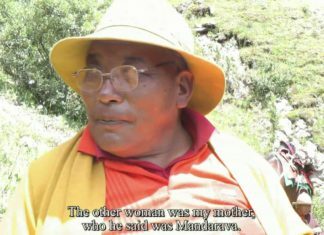 Rinpoche’s contribution in Buddhadharma for the benefit of many sentient beings is phenomenal, and awareness of this is closely treasured by his dharma students. I met Rinpoche several times, and have enjoyed visiting some of his centers around the world, offering various dharma teachings. Guru is indispensable for a student, irrespective of whether one is following the path of Sutrayana or the path of Vajrayana. Without the kindness and wise direction of a guru, the student is left directionless on the path to complete enlightenment. Those who have met Rinpoche will surely rejoice in their good karma and, I believe, will joyously pass on his inspirations to many others seeking the beautiful path of peace and happiness. I pray that many many great masters come to this world and lead countless sentient beings to the stage of Vajradhara. 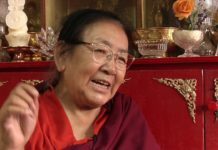 Her Eminence Jetsun Kushok is the daughter of Vajradhara Ngawang Kunga Rinchen, the previous head of the Sakya lineage, and the sister of His Holiness Sakya Trizin, the current head of the Sakya lineage. 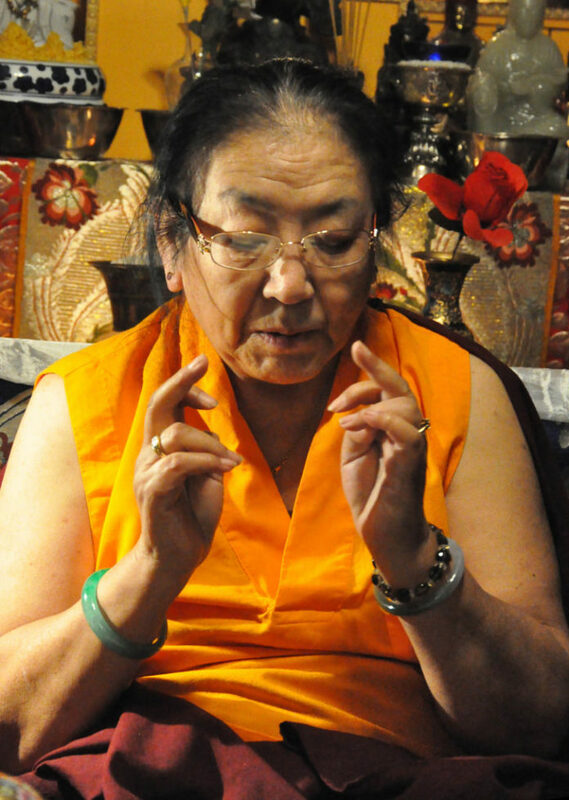 She began dharma studies at the age of five, and gave teachings and empowerments while still a child. After escaping to India in the late 1950s, she emigrated with her family to Canada in 1971 and now lives in Richmond, British Columbia. 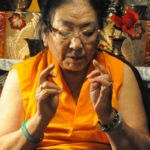 Until 1998, Jetsunma worked full-time as a weaver and part-time as a housekeeper, while also raising her children, running dharma centers, and practicing—often through the night. 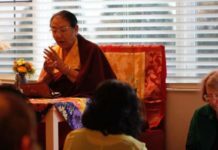 She is now a full-time dharma teacher and the founder of Sakya Thubten Tsechen Ling dharma center in Vancouver, and Sakya Dechen Ling in Oakland, California.